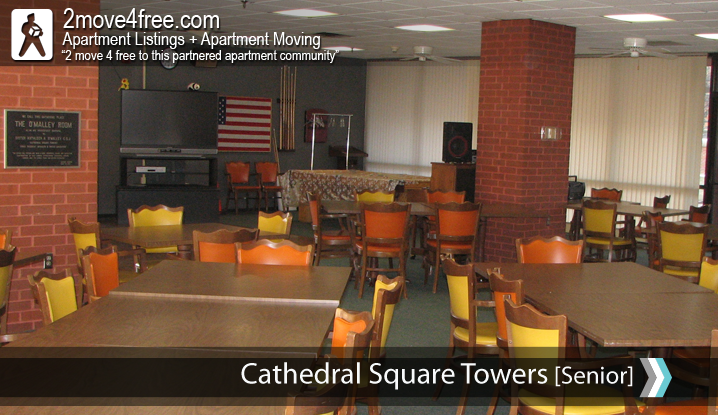 Cathedral Square Towers Apartments ~ 444 W 12th ST ~ KANSAS CITY MO 64105. INCOME BASED SENIOR COMMUNITY - On October 3, 1977, groundbreaking ceremony was completed on January 1979, and the first resident moved in to our beautiful building. 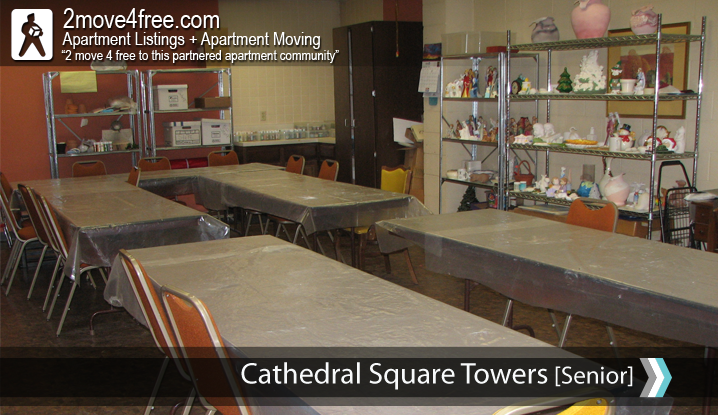 The building consists of 156 units; one and two bedrooms, with a wonderful view of downtown Kansas City, Missouri. Balconies are on the east side of the building and can be enjoyed by all. The bus line runs directly in front of the building on a daily basis. The Don Bosco bus picks up residents daily to take them to their senior center in the Northeast area of the city. Here at Cathedral Square Towers, we provide van or bus services to and from local grocery stores. Did we mention... we pay the movers to get you here, so you get 2move4free! 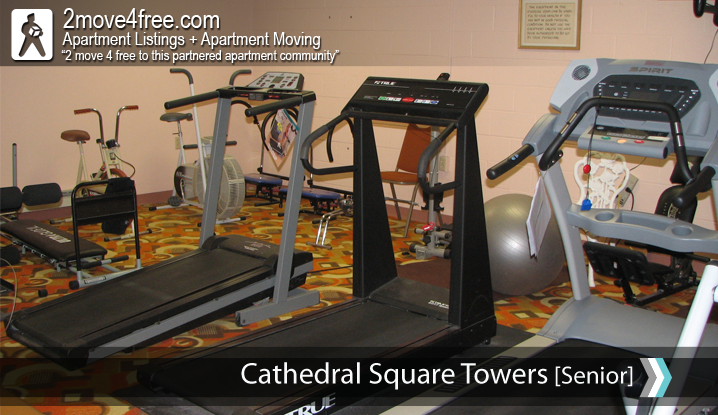 Find Apartments for Rent in the Kansas City MO-KS Metro on 2move4free.com View photos, videos, floor plans and details for apartments, apartment rentals, and rental property in Greater Kansas City MO-KS Metro metro area.